Standard Home Delivery within 3 - 7 Working Days. Standard delivery is free. Free shipping does not guarantee the date of arrival. 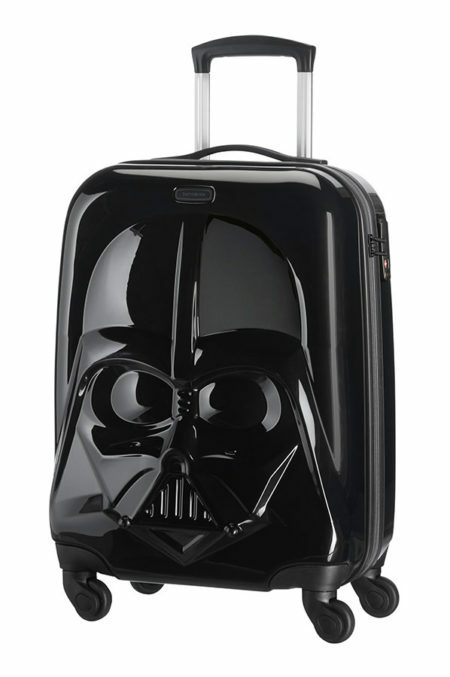 Star Wars fans will be enthralled by this small Darth Vader suitcase: a great kids’ (or adults!) hand luggage option for a short trip away. With the cool 3D mask of the Dark Lord himself, this hard suitcase comes with 4 easy to roll wheels, TSA lock for extra security and handy interior packing organisation. Four sporty, smooth and silent wheels allow 360° rolling in multiple directions, for easy manoeuvrability. One sturdy top handle for easy grip and easy lifting. Zippers with cute, themed zipper pullers.